Our therapists are all licensed, but they also seek continuing education opportunities to ensure they have knowledge of the latest treatment trends and techniques. Members of our staff are experts in several specialized treatment techniques to ensure our patients get the best treatment experience possible. If you need physical therapy treatment or want to learn more about our specialized treatments, please contact Taylor Physical Therapy. You can get started by filling out the form. This treatment option allows the body’s natural healing process to take effect to not only relieve pain but restore function to an injured area of the body. Affected muscles are taped to provide support, allowing you to still compete with assistance. Kinesio taping is often used to prevent overuse injuries and can encourage lymph flow and prevent swelling. 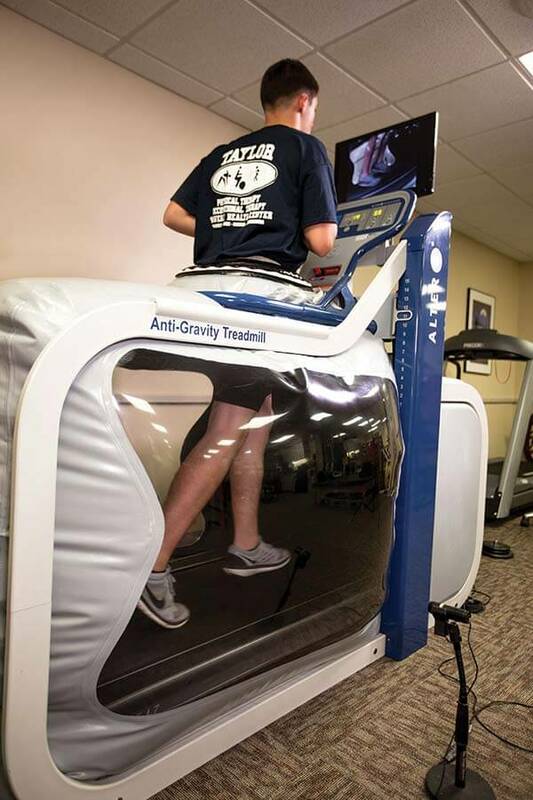 The anti-gravity treadmill is available to rehab patients of all ages and abilities, including pediatric patients, elderly patients, and athletes.